How Long is a Twin XL (Extra Long) Bed? The most popular question new college students and their parents have this time a year is just exactly how long is a twin XL size bed? 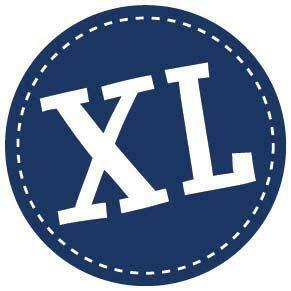 Twin XL stands for Twin Extra Long not extra large. Twin XL beds are 5 inches longer than a normal Twin size bed, measuring a total of 80 inches in length. Twin XL mattresses are the same width as normal Twin size mattresses at 39 inches wide. Where to Buy Twin XL Sheets? TwinXL.com is the Twin XL Superstore! Carrying the finest collection of twin XL bedding and accessories. Match a wide variety of color schemes and patterns with the largest selection in dorm bedding. Click here to shop Twin XL bedding. It should of 6.5 inches in lengh.Everyone can fit. I purchased three sheet sets from twinxl.com for my children and I have been very happy with them. Very soft sheets and durable too. Any sheets that have a thread count of single ply 100% cotton fiber greater that 250 will sustain longer against wear and tear and come out looking good wash after wash. silk bed sheets full One of the ways of having comfortable sleep is to buy the right bed sheets.